When Snapchat acquired Bitstrips back in March, people speculated a whole range of new ideas and new ways in which the simple comic caricatures could be integrated into the Snapchat process. Turns out that wasn't necessarily what Snapchat had in mind, at least not initially, based on today's announcement. Bitstrips, for those unaware, are those comic depictions of your friends that you've likely seen around - they were big on Facebook a few years back. 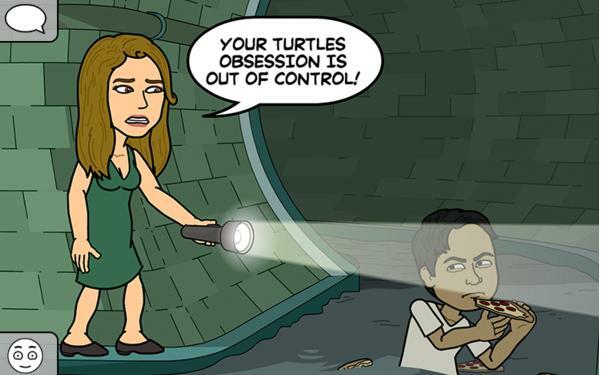 Bitstrips was able to convert that initial surge in popularity into a new app, called Bitmoji, which enables users to create cartoon images of themselves with surprisingly high accuracy. Users can then use their character in emoji-type responses and various other ways - essentially Bitmoji is a customized emoji response tool. And like them or not, Bitmoji has proven popular - it regularly ranks in the top 10 for utility apps (as per App Annie) and a range of big name celebrities and high profile users are fans, which has helped boost interest. Given this, the marriage of Snapchat and Bitmoji makes sense - it's cool, it's fun and it adds something new to the messaging process. 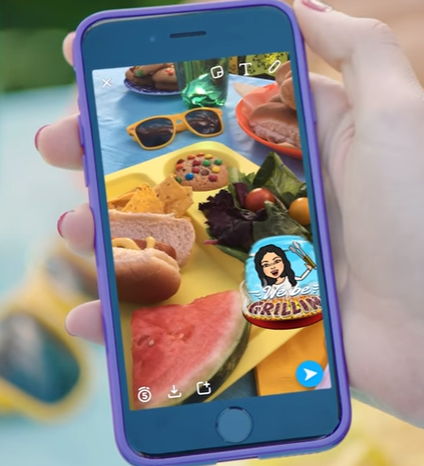 But surely Snapchat, with their innovative Lenses and video stickers, surely they'd be looking to do more with Bitstrips, to take the function to the next level, maybe through 3D Bitstrips cartoon images or something. Today, Snapchat has announced - in Bitmoji form - that you can now use Bitmoji in your Snapchat content. 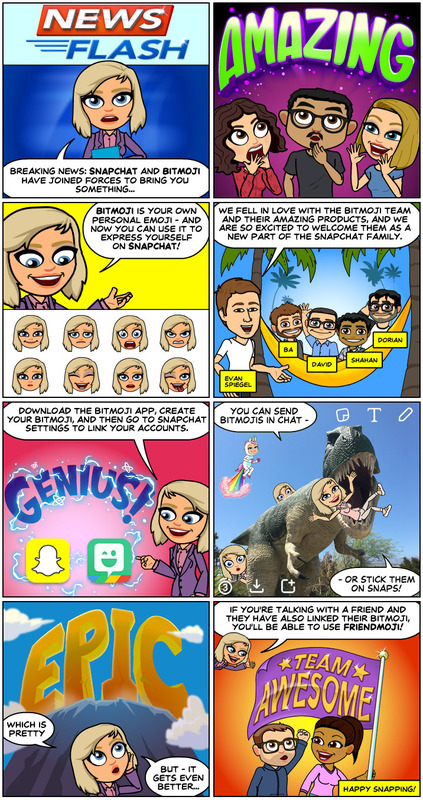 As noted in the comic (announcement), Bitmoji won't actually live within Snapchat itself, you'll need to link up your Bitmoji and Snapchat accounts, which is a pretty straightforward process. Once you've got your accounts linked, you can add your customized Bitmoji to chats. 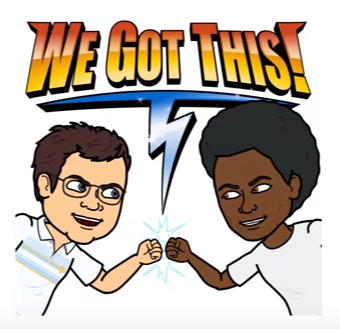 And if you and a friend both have Bitmoji accounts, you can even use 'Friendmoji', which combines both your Bitmoji characters into one. 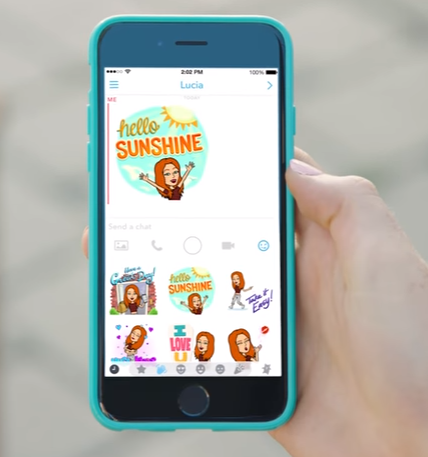 Snapchat's laid the details out in a new video, covering the basics of Bitmoji for Snapchat. The addition aligns perfectly with Snapchat's major messaging update, which they rolled out in late March, just days after the Bitmoji acquisition. And the focus on direct messaging here makes sense - research shows that text messaging is the dominant form of communication among teens, Snapchat's key market. But as noted, given some of Snapchat's innovations and acquisitions, including their recent purchase of Seene which creates amazing 3D images like this. It's a little disappointing to see Bitstrips directly plugged into Snapchat, as opposed to becoming "Bitstrips 2.0", a new and more interesting take on the form. But then again, this may just be the first step - Snapchat's no doubt done the research on the audience crossover between Bitmoji and Snapchat users, and that intersection obviously makes sense enough for them to directly integrate the two. Bottom line - expect Bitmoji to see something of a resurgence and for an increasing amount of your friends' Snaps to be showing up with smiling cartoon avatars of themselves pasted all over the place. You can link up your Snapchat and Bitmoji accounts from today - ensure you have the latest version of Snapchat before linking the two.